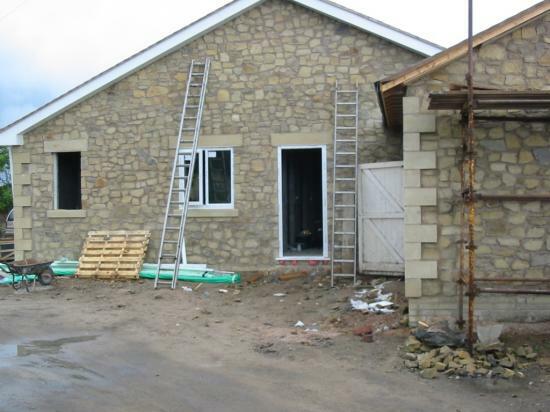 Stone quoins are built into the wall corner, providing an attractive look to the building. 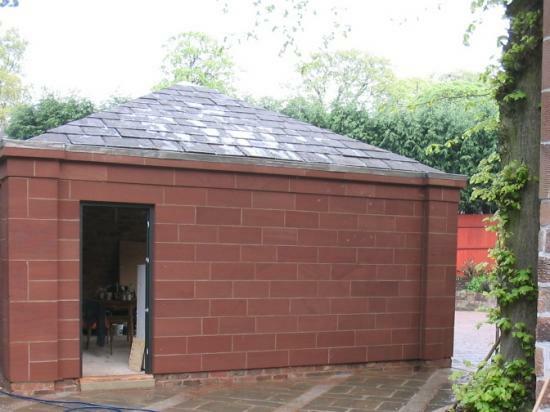 They can be made to match the look of the stone/brickwork although they’ll often be made in a colour that complements it instead. 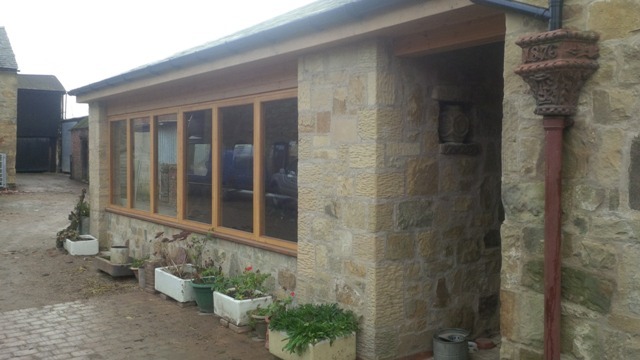 As well as creating a visual ‘frame’ for the overall look of the building, stone quoins also provide additional weather protection and strength. 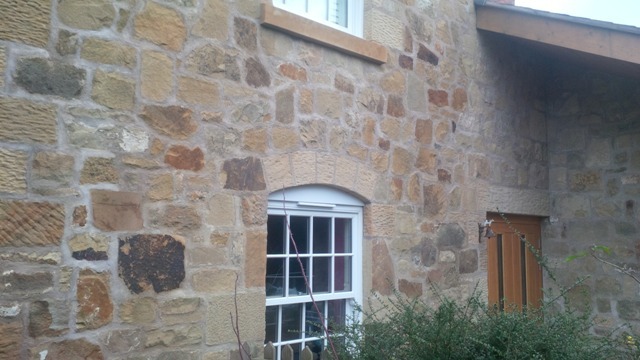 JB Stone Masonry can make a variety of sizes of sawn or hand-tooled sandstone or limestone quoins. 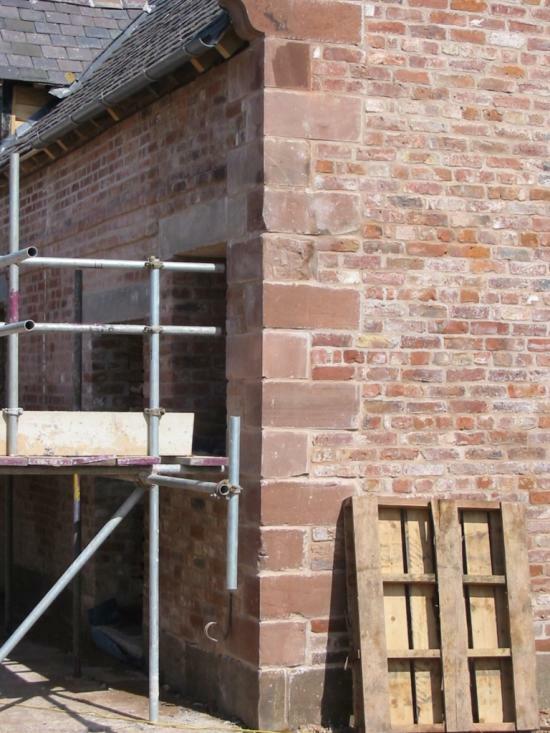 We produce bespoke quoins for all kinds of building projects including new builds, renovations and restorations. 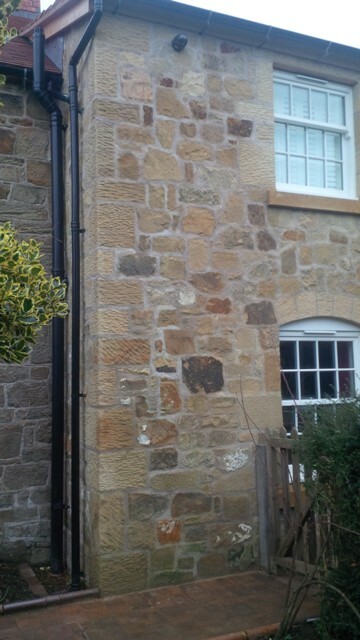 If you need your quoins to match or replace existing stonework, we’ll come out to your site to take full details and to ensure you get a perfect match. 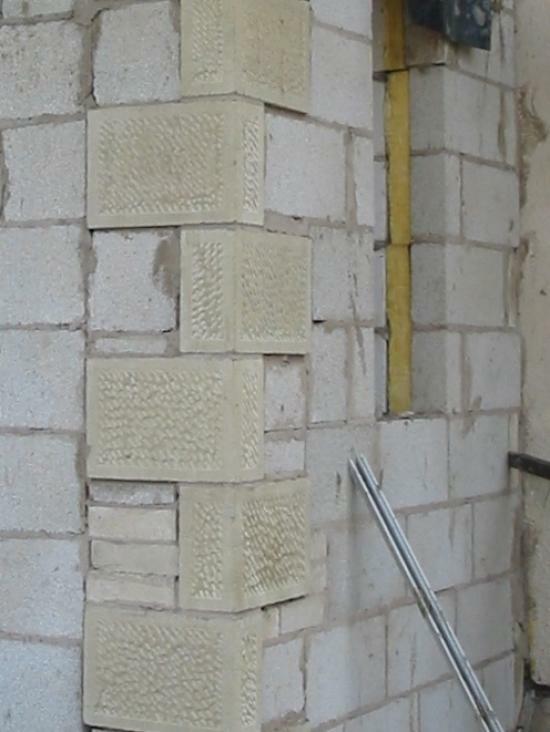 Where required, we’ll thin the quoin for use on a cavity wall to match the brickwork measurements. 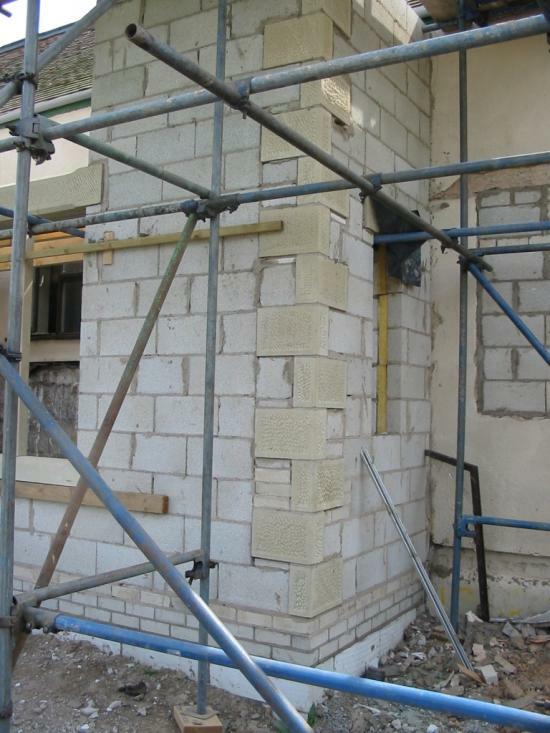 If you’d like to find out more information about our quoins, feel free to give us a call. 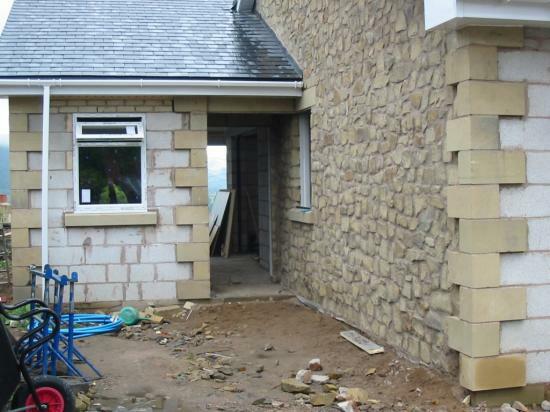 You can reach us on 01978 664006 or email mail@jbstone.co.uk. If you’d like to visit us to see the selection of stone we have at our yard on the Wrexham Industrial Estate, please get in touch to arrange a time to call in. 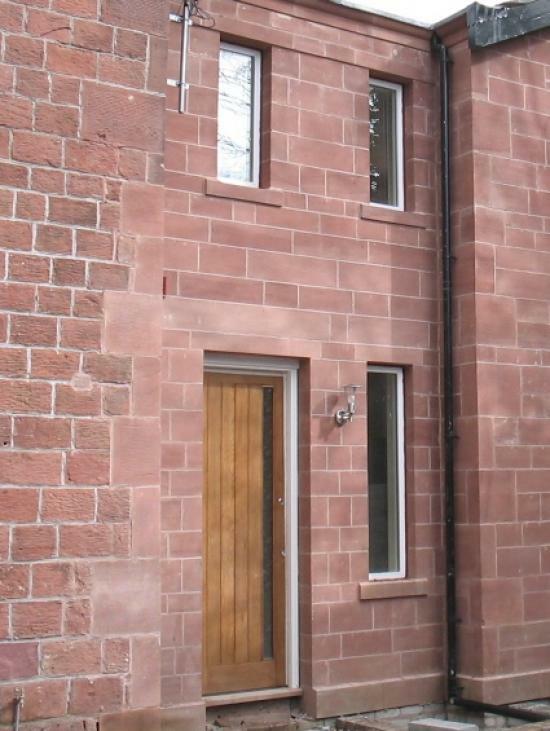 Some pictures of quoins that we’ve made for customers are shown below. 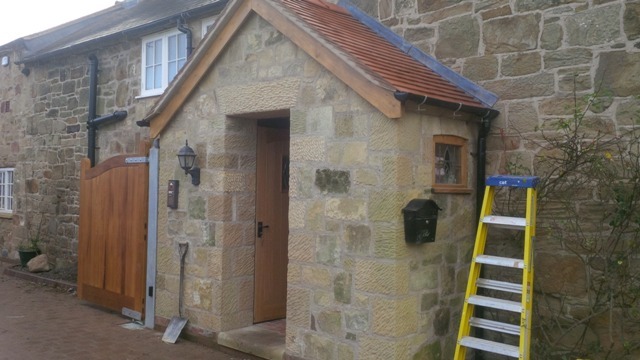 Our stone masons carry out work for customers all over North Wales particularly around Wrexham, Flintshire and Denbighshire. 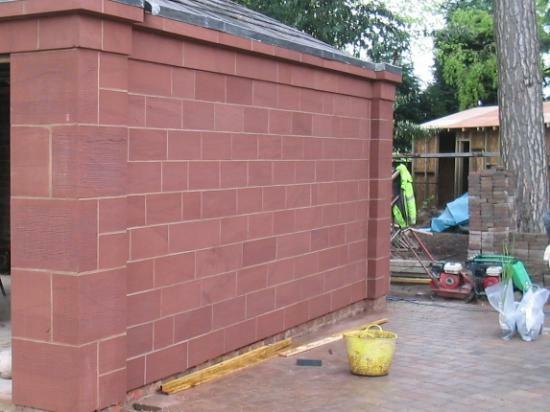 We also work across Cheshire and on the Wirral. 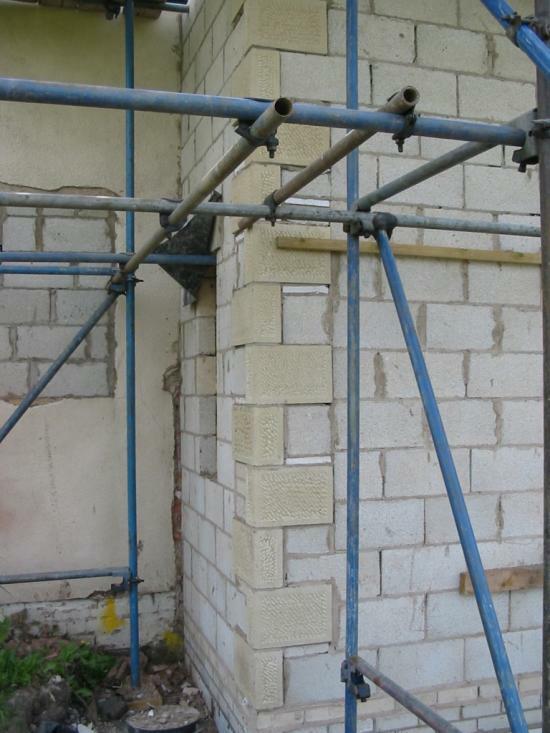 We only use stone sourced within the UK and make all our quoins at our yard.